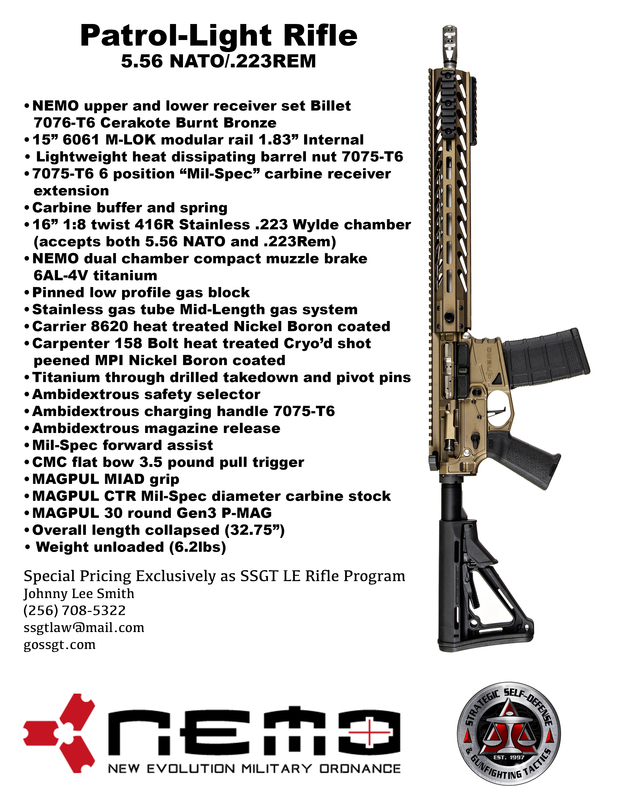 SSGT has teamed up with Nemo Arms, Inc., a premiere firearms manufacturer, to offer special rifle pricing to law enforcement agencies and individual law enforcement officers. 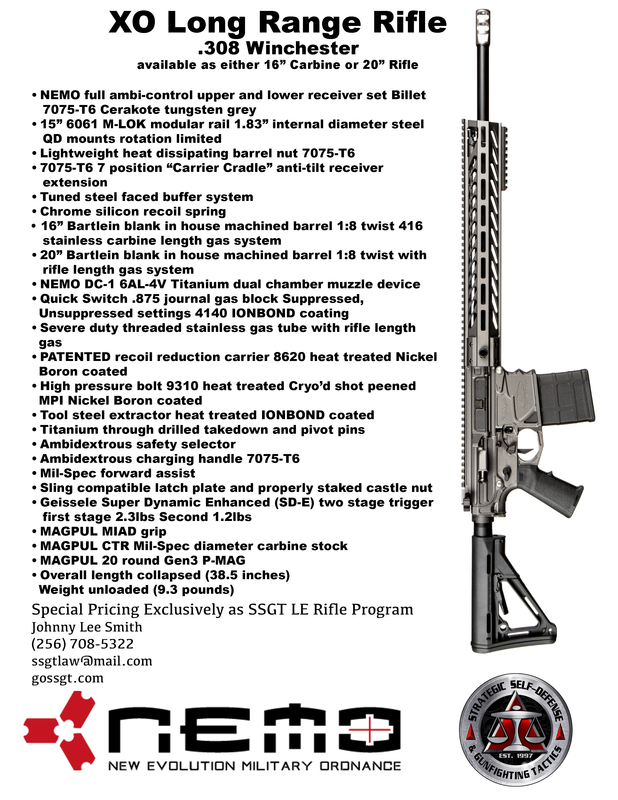 These special pricing options apply to select Nemo rifles. If you, the individual officer or your agency are in the market for a world-class rifle at a competitive price, fill out the Nemo Rifle Price Quote Request Form. 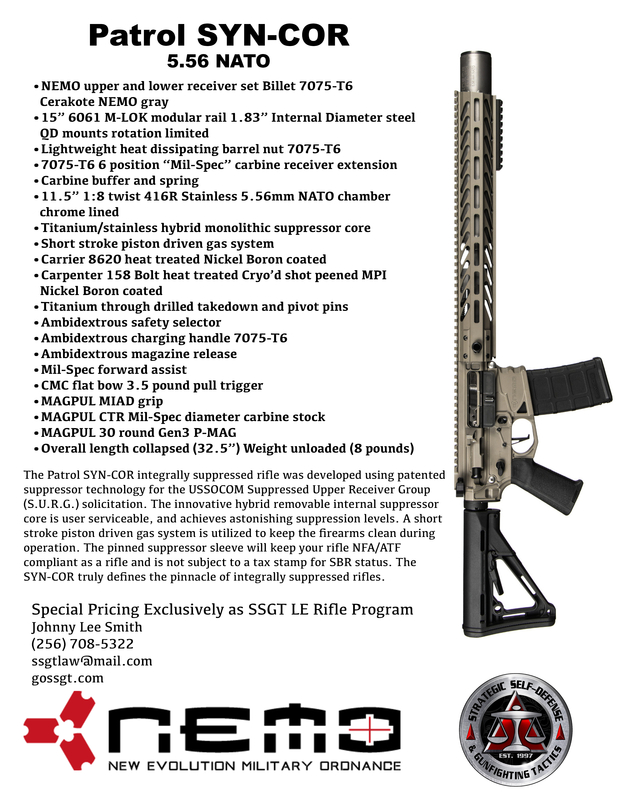 SSGT will forward the Price Quote Request form to Nemo Arms, Inc. for processing. If you and/or your agency decide to purchase, the entire transaction will be made directly through Nemo Arms, Inc. and not SSGT. SSGT DOES NOT SELL FIREARMS!